Krewer grew up in a family of musicians. His father taught piano and singing classes at a progressive Jewish school in Vilnius. As a child, he studied in Yiddish. When he was twelve, he studied the piano with his father and took an interest in sculpture. His first work represented a rabbi and three students. 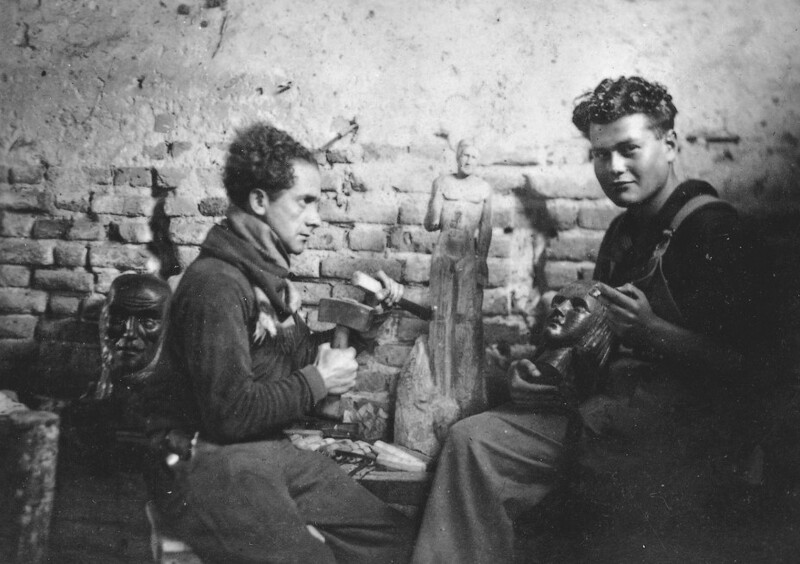 As he sculpted during his German classes, his professor advised him to adopt an artistic career path. Krewer arrived in Paris in 1924 and started to paint. In Montparnasse, he painted and drew anywhere and anytime. He studied at the Ecole des Beaux-Arts and then at the Académie de la Grande Chaumiere with Antoine Bourdelle. His nickname was “le petit Krewer” (little Krewer). At Le Dôme and at La Coupole cafés, he used to have long discus- sions with Charles Rapaport, a socialist Jewish thinker. When the war broke out, he stayed at his studio in Cachan. He did not believe that the situation was serious and, unconcerned, went to a police station where he had been summoned. The police chief handed him over to the Nazis. He was interned at the camp in Beaune-la-Rolande. Despite the difficult life at the camp, Krewer continued to paint. Although he had no illusions about his future, he wrote his mother that he was going to survive this hell and that everything would be fine. Shortly after he wrote this letter, on September 18, 1942, he was deported on convoy number 34. He was murdered by the Nazis.